Rubber shelf liner...you know the stuff. It comes in a half dozen colors and is great at keeping things from sliding around in your cabinets and drawers, keeping stacked dishes or pots from getting scratched, and a million other little things around the house. 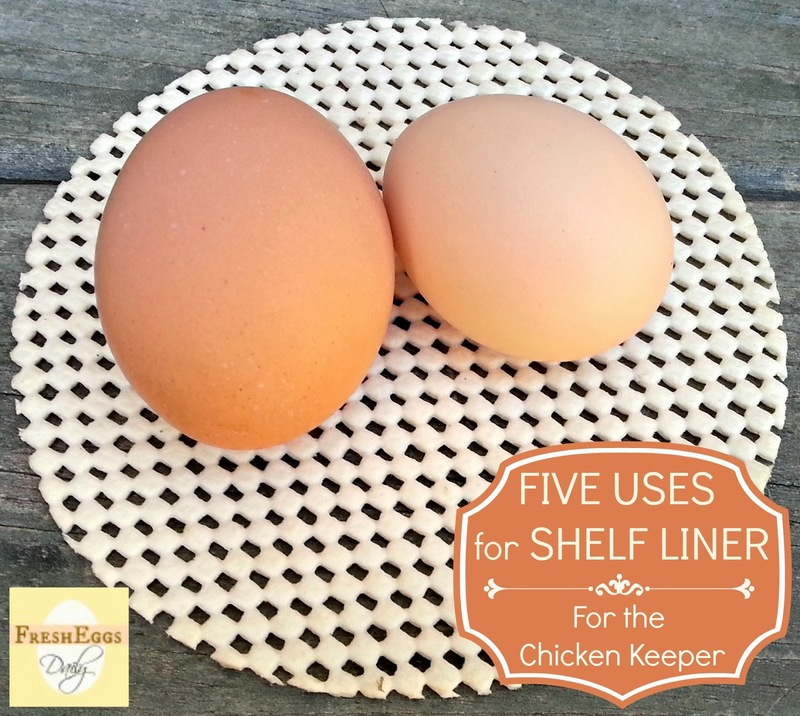 We always seem to have a partial roll of shelf liner lying around, which is how I inadvertently stumbled across a couple of other very clever uses for it, all relating to raising our chickens. I love that it's washable and reusable, so much more 'green' than using paper towels or something else you will just throw away when you're done with it. Most shelf liner is even machine washable, so it's super easy to clean and reuse. To provide a non-slippery surface on the slick plastic bottom of my Brinsea Mini Advance incubator, it was recommended that I cut a piece of paper towel and line the bottom. Instead, I cut a piece of shelf liner to fit. The shelf liner provides a textured surface so not only do the eggs not roll around and bang into each other when you are trying to candle them, the newly hatched chicks don't slip. In addition, the rubber does't absorb moisture like paper towel does, and won't reduce the humidity level in the air in the incubator. The newly hatched chicks' little feet need something to grip to prevent injury or spraddle/splayed leg. When all the eggs have hatched and the chicks are dry and in their heated brooder, I simply wash the piece of liner and pack it away with the incubator to reuse the next time. As mentioned above, chicks can suffer spraddle leg if they are raised on a slick surface. 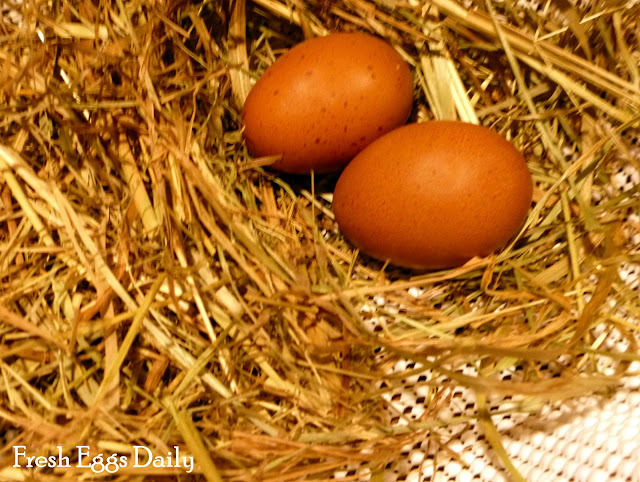 It is recommended to use sheets of paper towel on the bottom of a brooder. After our first batch of chicks and literally going through two entire rolls of paper towel, I figured there had to be a better solution. 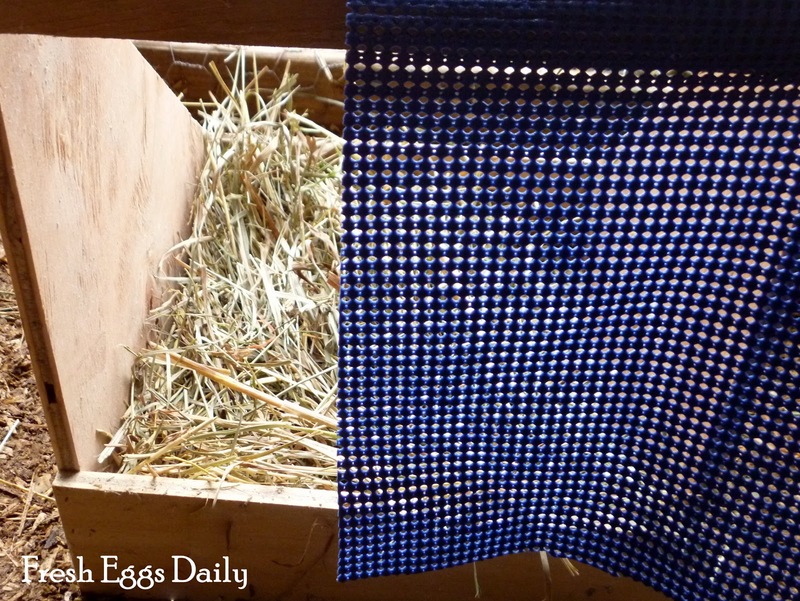 Now I used a few layers of newspaper with a piece of shelf liner cut to fit the bottom of my brooder laid on top of the newspaper. It stays nice and flat under the chicks' Brinsea EcoGlow. Any moisture or spillage from the waterer seeps right through the holes in the shelf liner and is absorbed by the newspaper and the chicks safely walk on the textured liner. I cut two identical pieces of liner so each time I clean the brooder box, I rinse off the dirty liner and let it air dry, using the second piece in the meantime, and just keep alternating. When the chicks leave the brooder, I wash both pieces, let them air dry in the sun and pack them away until the following spring. The hard wooden bottom of your nesting boxes can cause eggs to crack and break if the nesting material isn't thick enough, or the depression they have made in the straw is too deep. So I cut a piece of shelf liner and put it on the bottom of each nesting box. A sprinkle of food-grade Diatomaceous Earth or agricultural lime underneath the liner prevents mites from taking up residence and the liner provides cushioning for the eggs. 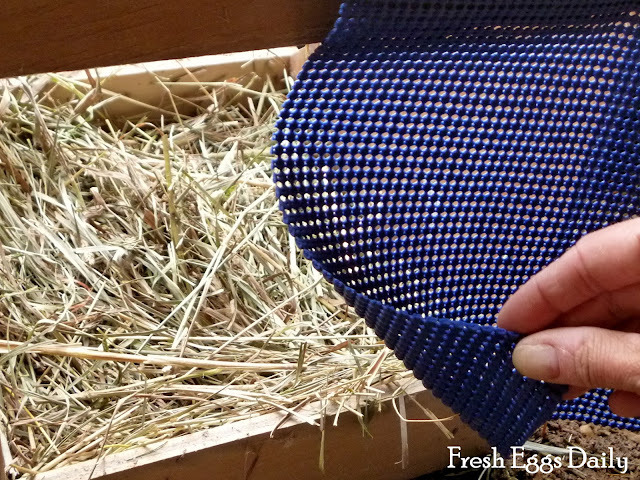 We women seem to love to sew pretty floral, lace or gingham curtains for our nesting boxes. Functional as well as pretty, they really dress up the coop. Men, on the other hand, aren't quite as interested in how the curtains look and might be more apt to just hang a piece of shelf liner across the front of the nesting boxes to provide a shield to discourage egg eaters and also provide privacy for their layers. Shelf liner also makes a nice sun shade over coop windows to filter in some light but block the majority in the summer. 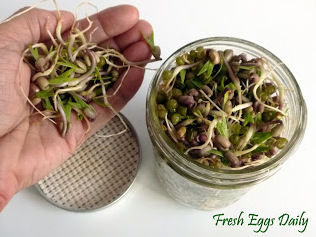 I love sprouting mung beans for the chickens, and the shelf liner makes a great 'breathable' lid for the mason jars. Do you use shelf liner for things other than lining shelves? I would love to hear your ideas! Love it! I have 2 rolls just sitting waiting for some purpose and now it shall have one (or five). Thanks for the post! How neat! Just tried the curtain idea today on a nesting box they never use, will see what happens.Will for sure try using with the sprouts. I have one to add: cut a piece of shelf liner, about 6X6 inches and put it in a kitchen drawer. It will help you unscrew many a stubborn jar! Now if I can convince my husband that we need chickens....maybe I can put those to use. I am a new follower. You saw my link on Cherrios and lattes and I came right over. Next spring...I am getting chickens, so I am excited to read all about it here! EGGccelent ideas. Thanks for sharing at Repurposed Ideas Weekly. LOVE the idea of covering sprouting jars with this stuff!! Visiting from the Waste Not Want Not #5 link up! Great ideas, and oh my goodness are your little chicks so cute!! Thanks so much for sharing this on Waste Not Want Not Wednesday :) I've pinned it to my WNWN board and don't forget to check back on Wednesday to see if you've been featured. I put a large piece beneath a pillow for a cat bed that won't slip off the dresser. I used shelf liner on my granddaughter's sit and spin (garage sale find refurbished) to stop her from sliding off. 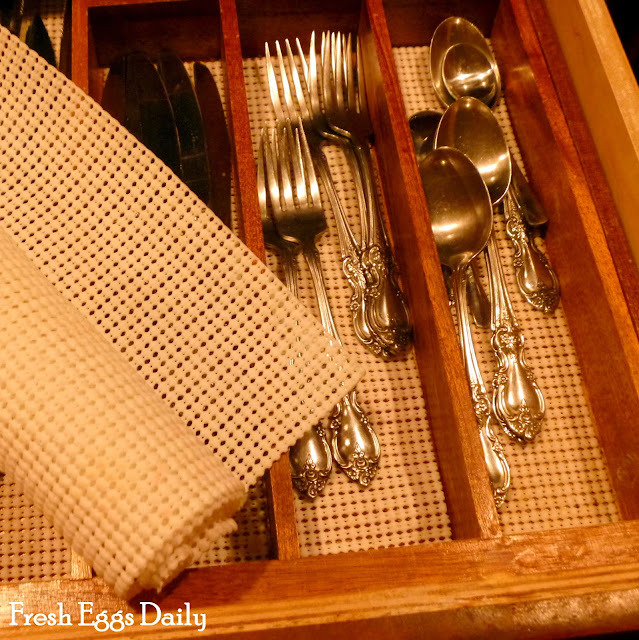 I love the idea of using it in a nesting box or for the sprouting jars, I also like the idea of lining a bator with it to give the chicks some traction, but I'm curious if one of your reasons for not using paper towels is that they absorb the moisture thus reducing the humidity - how does using newspaper not do that when it also absorbs the moisture?